I am Malala is a novel by Nobel Prize winner Malala Yousafzai which got published by Weidenfeld & Nicolson, United Kingdom. The book describes Malala Yousafzai’s early life and the rare accident she faced. She is the courageous girl from Pakistan who defeated death with her enthusiasm, passion and love to be educated and to make the other girls of his community get education. She is a girl from Mingora Swat Valley in Pakistan. She had a wish to be able to go to school with her friends. Even she reached the place she intended to leaving away some dangerous consequences which includes the deadly attack of a militant group for the sole reason that she wanted to get education. After she succeeded to recover, she had a book in her name. She was also awarded with the Noble Prize for her bright efforts to promote female education in the Pakistani society. In this book, she stands up for the rights of girls as she spoke against a very powerful group known as Taliban. They began to target her and her father Zia-ud-Din Yousufzai. Prophet Muhammad (Peace Be Upon Him) himself quoted that education was imperative for all whether men or women. So, why do we think Islam stops females to gain education but not men? The book starts with Malala’s parents who got together with their friends for some chats. The kids went down to the river, the girls played wedding and boys played different games. Men used to talk about politics whereas women were busy discussing about their daily works. Malala used to go to the school in her village but her father decided to close that school forever because of the threats they received from some unknown militant groups. They thought educating females was an embarrassment for Islam which is totally inaccurate. The girls became dejected for the forceful method of snatching their basic right of being educated. But madam Maryam, one of the bravest teachers of that school, decided to take secret classes of females. Even if Taliban were aware of madam Maryam and the girls who joined the secret classes, they would be shot down long ago. Everything was going secretly unless one day Taliban found Malala coming home from school: they shot her but she survived. Does Islam says to kill a woman but do not let her study? This is what the book is based on. She was taken to Birmingham for treatment. She received a great care in Birmingham with the presence of some great doctors and nurses. She was not even shown to her family for long. I am Malala is a real hope for many girls all across the globe whose rights are violated. She is the real pride of Pakistan who, with her strong passion, gave girls the spark of hope for a future with education. I recommend this book to everyone living in any part of the world as the book is a source of great motivation for all new readers. It also gives females the courage to ask for their rights in the country. 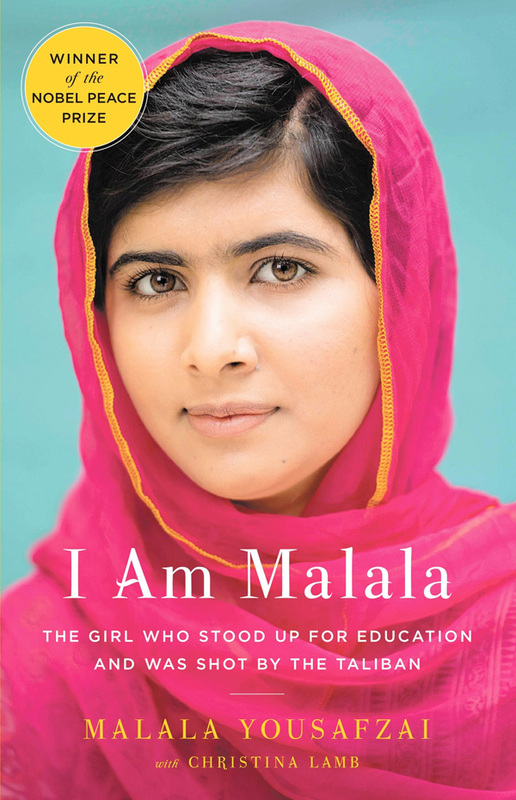 I Am Malala – the Story of the Girl Who Stood Up for Education & was Shot by the Taliban is an autobiographical book by Malala, co-written with Christina Lamb. It was published on October 8, 2013, by Weidenfeld & Nicolson in the UK and Little, Brown & Company in the United States. The book details the early life of Malala, her father’s ownership of schools and activism, the rise and fall of the Tehreek-i-Taliban Pakistan in Swat Valley and the assassination attempt made against Malala, when she was aged 15, following her activism for female education. It has received a positive critical reception and won awards, though it has been banned in many schools in Pakistan.